Wuhan Wellsee Electronics Co., Ltd. invested by Hubei Bluelight Science & Technology Development Co., Ltd was established a few days ago. The company specializes in the research, manufacture and marketing of photovoltaic system product includes include solar inverters, solar controller with LCD, car power Inverter, pure Sine Wave Inverte etc. Wuhan Wellsee Electronics Co., Ltd. has top technicians, and their specific research and development into the photovoltaic system has reached the international leading level. 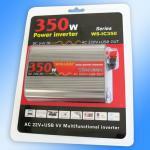 With the characteristics of high-tech, convenience and security, the solar inverters, solar controllers, high-efficiency chargers, vehicleinverters serial products can meet the requirements of application in various countries of the world, and the company can also design the satisfactory photovoltaic products for customers’ specific needs. The Automotive Inverter developed by Wuhan Wellsee Electronics Co., Ltd. outputs pure sine waves, which can drive any kind of load without electromagnetic pollution. 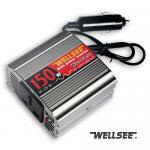 It is safe, reliable and totally different from other car inverters. The solar inverter produced by the company also has an advanced Human-Machine Interaction function which completely cleans out other single-function controller products in the market. Facing a broad prospect for development of green energy in the future, Wuhan Wellsee Electronics Co., Ltd. will seize the opportunity and take the advantage to make efforts in building a large-scale, multifunctional and international company; And the company will provide customers with the best quality services and make efforts to create a more healthy, comfortable and convenient life for all people with solid technical strength, strict quality controls, advanced manufacturing and testing equipment, sound marketing systems and improved management modes. 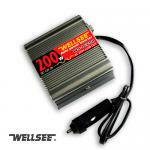 Please keep paying your attention on Wuhan Wellsee Electronics Co., Ltd.